We have fallen in love with the USBs after those torturing floppy disks that had the 'knack' of refusing to be read and embarrassing the users or destroying the data forever. Since the advent of the USBs, life seems easy as these tiny gadgets with storage capacity in 64 or even 128 GBs are easy to carry and used instantly. 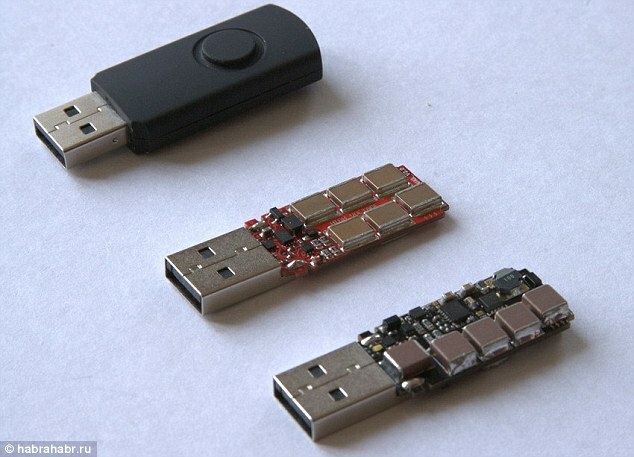 But wait now - there is a caution: Russian hackers have developed a USB that when plugged into your laptop or TV can send 220 volts and literally FRY your gadget that it is plugged into. However, the frying of gadgets motherboard does not include the hard disk and you have your data saved at least.